The abduction, detention and ill-treatment of award-winning Azerbaijani human rights activist and blogger Mehman Huseynov is further proof of the government’s zero tolerance for free expression, said the Institute for Reporters’ Freedom and Safety (IRFS) today. IRFS condemns the appalling torture of Mehman Huseynov and calls on the government to guarantee the safety of journalists in Azerbaijan. “We resolutely condemn this act of violence against Mehman Huseynov”, said IRFS CEO Emin Huseynov. “We have no doubt that this despicable act, inspired by the complete impunity for violence against journalists and media workers, has been ordered by top officials in Azerbaijani ruling establishment”. Azerbaijani journalist and human rights defender Mehman Huseynov was pushed into a vehicle in downtown Baku at 7.54 pm local time on Monday. Huseynov’s family and colleagues reported the incident to local police at 9.00 pm local time that night. The report was filed and accepted by local police officers. Azerbaijani authorities held Huseynov restricted from outside contact for 19 hours without access to a lawyer or his family. The authorities failed to provide accurate information on the whereabouts of the journalist between the time of his abduction at around 7.54 pm on Monday, until 3.00 pm today when he was brought to a Baku court, where a judge ruled that he had disobeyed police and fined him 200 manats (approximately 112 euros). Huseynov said he was severely tortured from 7.45 to 10.45. Specifically, Huseynov was thrown into a car with his head down, and a sack was put over his head so that he could not breathe properly. He was kept in the car for 4 hours with a bag over his head and his head pushed down. He was blindfolded with a towel, and his mouth was covered. The authorities electrocuted while in custody and made his nose bleed. At one point during the torture, he reportedly had dry mouth, and they got his shirt wet and touched it to his lips. They grabbed his arms to keep him from moving while they took him to the Nasimi District Police Department. There, he lost consciousness and collapsed. As he fainted, they raised his hand and made him sign the documents. He refused to sign them before, but they took advantage of him and made him sign the papers. An ambulance was called, and he was given painkillers and sleep-inducers by way of injection. He slept and woke up only in the morning. According to lawyer Elchin Sadigov, Mehman Huseynov’s body bears traces of injury. IRFS fears that the brutal beating may lead to serious consequences for the journalist’s health, and recalls the suspicious deaths of several journalists at Azerbaijan’s medical facilities (Rasim Aliyev, 2015; Rafig Tagi, 2011; Novruzali Mammadov, 2009; and Ali Kazimli, 2005). Accordingly, the organisation demands that Huseynov is permitted to leave the country to receive medical care abroad. Denying a person’s detention or refusing to provide information on a detainee’s whereabouts – which is exactly what has happened in the case of Mehman Huseynov – constitutes an enforced disappearance and should be promptly investigated and those responsible held to account. Enforced disappearances and torture are both strictly prohibited by international law and are not permitted in any circumstances. IRFS calls on the Azerbaijani authorities to thoroughly and impartially investigate the case. Officials must ensure that anyone found to have carried out the abduction or torture is held to account, and further that the journalist has access to legal remedy. Mehman Huseynov has won huge popularity in Azerbaijan for speaking out against injustice and official corruption. His video reports exposing high-level corruption span social networks. In recent weeks, Huseynov had produced a series of investigative reports on villas he alleges belong to state ministers and parliamentarians, including interviews with the construction workers who built the homes. Last week, Mehman Huseynov circulated a letter to the Parliamentary Assembly of the Council of Europe (PACE) stating that his organisation, press freedom watchdog Institute for Reporters’ Freedom and Safety, has initiated a call to suspend the credentials of the Azerbaijani delegation to PACE for their involvement in a bribery scam. The letter also calls on the PACE to re-establish the mandate of a special rapporteur on political prisoners in Azerbaijan – a move that the Azerbaijani regime has long sought to prevent at all costs, including by allegedly bribing PACE members. “It is clear that Mehman’s activism has prompted President Ilham Aliyev’s government to order the abduction”, commented Emin Huseynov. “If the authorities fail to bring the responsible parties to account, we will turn to the Global Magnitsky Act to seek justice for Mehman”. Azerbaijan’s authorities must immediately revoke the travel ban on Huseynov and allow him to work as a journalist freely and without fear. Mehman Huseynov is a well-known Azerbaijani journalist and blogger. Mehman Huseynov is the Editor-in-Chief and lead correspondent for SANCAQ, a socio-political magazine disseminated via Facebook, Youtube and Instagram. 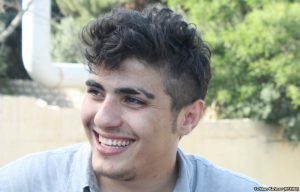 Mehman Huseynov’s photo and video reports have been pivotal in raising awareness of political and social problems in Azerbaijan. In his recent series of video reports, called “Hunt for Corrupt Officials”, he documented corruption in the top echelons of Azerbaijan’s ruling establishment. His Facebook blog, Sancaq Production, reaches more than a thousand communities in Azerbaijan. He is followed by more than half a million social network users on a daily basis. His journalism makes a difference, as it very often helps resolve issues and hold officials accountable. In November 2016, he was elected as IRFS’s new chairman. The previous chairman of IRFS, journalist Rasim Aliyev, was beaten to death in August 2015 in Baku.